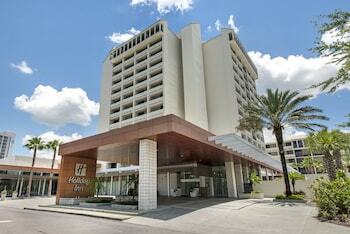 It is usually during the winter months when travelers start to look at southern cities for vacation. When planning your winter getaway from Buffalo to Orlando, there are a few things to keep in mind. First, the transition from a Buffalo winter to an Orlando winter is a welcomed change. Second, you can find cheap reservations when booking the trip with Orbitz.com. Buffalo Niagara International Airport is the start of this great vacation. Located 8 miles from Buffalo, the airport is home to 31 airlines, including Delta, JetBlue and Southwest Airlines. More than 2,000 flights go through the airport each week, and one of them could be yours if you book tickets through Orbitz.com. There are a few ways to get to Buffalo Niagara International. Take a taxi from downtown Buffalo for $18 or a public transit bus for $2 per ride. Taking your own car is also an option. You can park in the short-term lots closest to the terminal for $24 a day. The economy or long-term lots will cost you $10 to $13 a day, depending on how close you want to park to the terminal. All of the lots are secure, so your vehicle will be safe while you are gone. Buffalo Niagara International can also help with the last minute details of your trip. Get a meal or pickup forgotten items at one of the shops or restaurants located inside the airport. From Lake Erie Grille to the Coffee Beanery and Anchor Bar, there is something to satisfy your hunger and thirst before the flight. You can find various reading materials and toiletries at the Monarch New Stand or Everything ASAP. Get on the plane after you are fed and prepared for the trip. 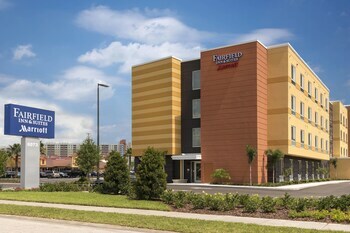 Located in central Florida, Orlando is a very popular vacation spot that has much to offer. If you get there in the off-season, you can see many of the attractions without the tourist bustle. From beautiful gardens to animal attractions and resorts, there are plenty of attractions to fill a vacation. Orlando International Airport is one of several airports in Central Florida, but it is the only one in the city of Orlando. Located 6 miles from the city center, the airport offers 840 daily flights through 41 airlines. From the airport, you can reach the downtown area via taxi, bus or shuttle. The hotel shuttles are free of charge, but must be arranged prior to your trip. The public buses cost $2 per ride. A taxi will run you $29 to the downtown area. 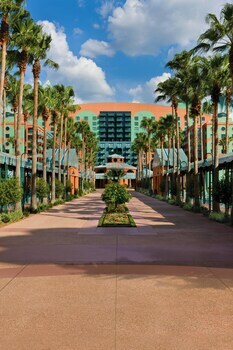 When you book your trip on Orbitz.com, remember to reserve a hotel shuttle at Orlando International at the same time. 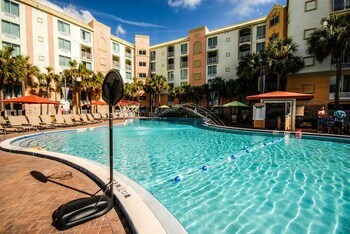 Orlando has great weather year-round, but the best time to go is in late January through early March to avoid the holiday family rush, Spring Break madness and the summer vacation peak season. Late September through early November is also a good time to visit, as the weather usually stays in the high 70s. This is perfect weather for escaping the Buffalo cold. 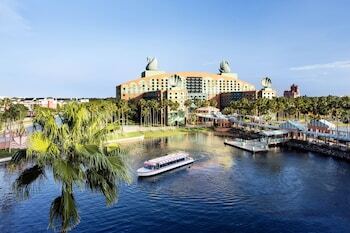 In Orlando, you can visit all of the typical tourist haunts, like Disney World, SeaWorld and Epcot. 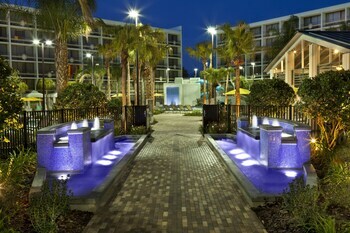 The alternative is a more intimate view of Orlando. Take an Orlando Ghost Tour or a stroll through Cypress Gardens. Hot air balloon rides and alligator tours are other attractions off the beaten path. 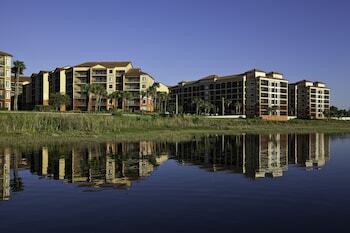 You can also spend the warm days relaxing in luxury at places like the Ritz Carlton Orlando, Grande Lakes. Whatever you decide, there is an attraction to suit. Get out your calendar and start planning your vacation. 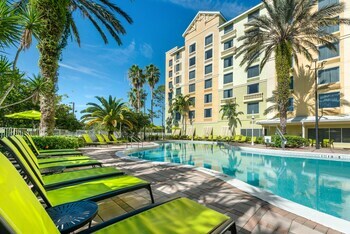 Remember to reserve your air tickets from Buffalo to Orlando, hotel and transportation with Orbitz.com. By booking your vacation now, you can have something sunny and warm to look forward to this winter. Buffalo Niagara Intl. - Orlando Intl.